We’re making great waves with our reviews and we’ve given you a lot to think about but we’re not stopping there. 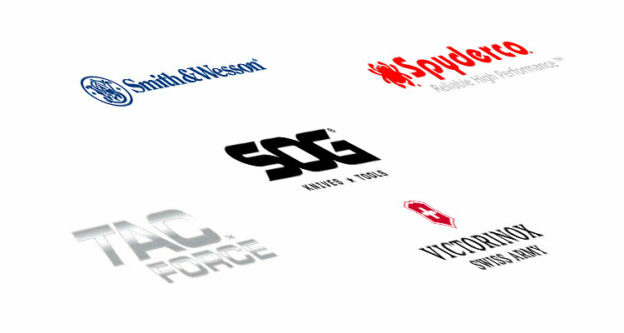 What I want to do next is to serve up the best in the business with our reflection on the sharpest pocket knives within the market. Sometimes sharpness can be just what we’re after, but some pocket knives can be just for show and a little blunt. Others, such as the Swiss Army, don’t come particularly sharp in the first place. Lend us your eyes are we find and analyse the top 5 sharpest pocket knives within the category. First on our list is one hell of a knife. Custom build and super sleek, the Microtech Sigil is such a beast of a product. You just have to take one look at the thing to tell this isn’t to be messed with, and it’s sharp as anything, too. This knife is extra special – it’s a one-of-a-kind piece of kit that is striking to look at and sharp to cut with. With a overall length of 8 inches, it’s a standard sized knife but that’s all that’s standard about it. Weighing in at 5.2oz it’s a really nice weight. Just to prove its legitimacy, this knife comes with a complete case kit and certificate of custom authenticity from the makers themselves. Awesome. As soon as you look at this knife you know it means business. Looking just like the claw from a bird of prey, this lovely little number is as sharp as anything. The bend on the blade brings the tip round nicely and is razor sharp in both feel and appearance. 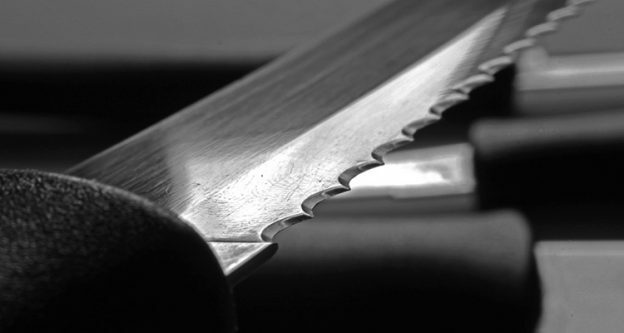 The inside of the bend on the knife is jagged intermittently giving the knife a cool, extra-sharp vibe to it whilst the danger of the point of the knife can very easily be avoided by placing into its folded position the turns nicely into an incredible handy sized piece. A nice knife and possibly the sharpest pocket knife on the page. 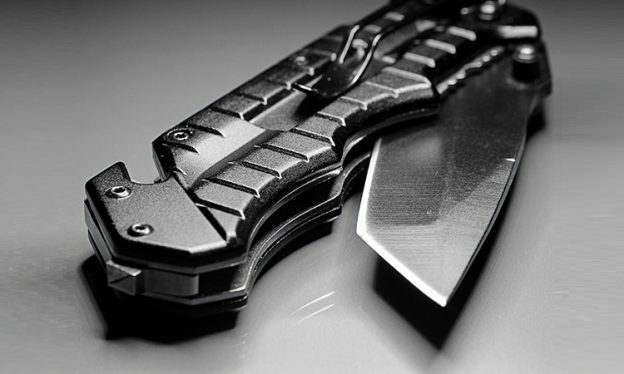 The Cold Steel 29TLCC is a tough-as-nails knife with a sharp streak. The knife itself looks a little older, more traditional with the brown handle giving it a 70’s vibe about it, but make no mistake, this type of knife is wonderful. The blade of the knife itself comes to a point fairly abruptly, and builds up through a slimline blade that’s 3.5mm in thickness and just under 4 inches in length. Claims from the manufacturer state that the Voyager is 99.9% stronger than their competitors knifes, which if true, makes this a force to be reckoned with. 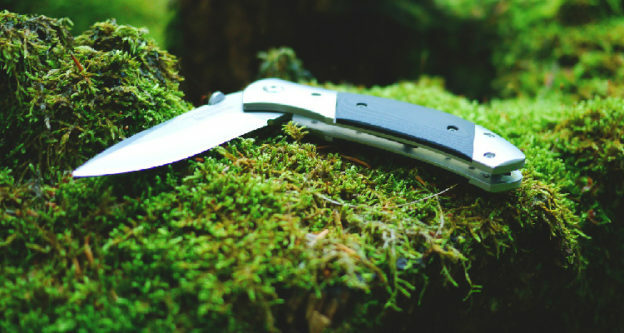 The ESEE (previously RAT Cutlery) is a solid performer in a tight market. Designed by people who’re actual users of the equipment, this brand banks on its experience in usage to help it manufacture the best and sharpest pocket knife it can. The blade of the knife is really sharp both at the point but also down the grip side of the knife. It’s got a really great weight to it (1lb) even if the knife itself it a little on the large side. This pocket knife is back to a classic design and a multi-blade approach that has it look similar to an army knife from other brands. Small and compact, it has three types of blades, a standard knife with a sharp tip, a gut hook which is looped round to one side which is deceptively sharp and the third saw blade style knife which is not only feisty but sharp as hell. With over a dozen teeth, this final blade is the major part of this kit. 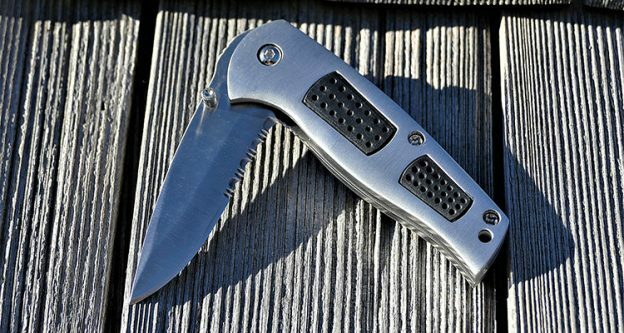 This pocket knife is multifunctional and easily transportable, it’s a real find. It’s not always important to a lot of people if the blade is sharp. However, if you’re not in that frame of mind, then we’ve made sure we’ve picked out the largest, best and sharpest variety of knives that we could find. An important thing to remember is to mantain the blade sharp: to get this result the best way is to use a sharpener over time. I hope you’re really pleased with what you see in front of you, and I’m sure you’ll find the blade you want.